Classic Fall Reading | What’s next on your list? I recommend creating a balance in your reading diet, particulary when it comes to the era in which books were written. For me, I try to read 2-3 books by dead guys for every book I read by a modern author. Why? Well, because old books have been proven by the test of time and modern books are still on trial, as Lewis puts it. If you want to invest your time well, make sure your reading includes some of the classics. I’ve spoken with a number of you who have mentioned that, “I am not a reader.” Unfortunately it is often stated in the same way someone would say, “I have one head and there is no changing that.” That’s not true. Readers are not necessarily born, they are created and cultivated. Of course, if you’re not a reader, you’re probably not reading this. But, if you are, I hope that is encouraging. For readers and not-yet-readers alike, I highly recommend Lit: A Christian Guide to Reading Books. It makes some of the most helpful content from this classic book much more accessible. You will be surprised how helpful reading a book on reading could be. He also provides some really practical help on how to fit reading in to an already busy schedule. You want this book. This is easily in my top 10 favorite books of all time. The translation that includes the introduction by CS Lewis is worth the read alone. It is incredibly faith stirring to read Athanaisius defend the full humanity and full divinity of Jesus as such an early, and crucial, stage of the early church. Super accessible. This would be in my top five favorite books of all time. It’s a little more of a demanding read, but well worth it. The entire book is Augustine’s autobiography written in the form of a prayer back to God. It’s like getting to eaves drop on Augustine praying. Stunning and helpful. To my knowledge, nothing else like it has ever been written. It may help to do a little preliminary background reading on Augustine online before digging in. This falls in my top five as well, particularly the first half that deals with the main character, Christian. If you’re unfamiliar with the story, Pilgrim’s Progress is an allegory of the Christian life as Christian, the man, embarks from the City of Destruction and heads to the Celestial City. Along the way he encounters the likes of Talkative, Hopeful, Faithful and others. Bunyan wrote this while in prison for preaching the gospel. You’ll find your soul stirred. This is a classic of Jonathan Edwards, easily the greatest theologian that America has every produced. As some of the others above, not always the easiest to get through, but incredibly helpful. In it he deals with the issue of true faith and how it manifests itself in our lives. This is a topic that needs to be revisited in our day. Of all the books above, this is the most accessible. Originally Lewis gave each chapter as a talk over the radio. They were later compiled and turned into a book. In it Lewis defends and explains the nature of Christianity. It is a helpful book for Christian and non-Christian alike. I highly recommend it. The closest modern day parallel is Tim Keller’s, The Reason for God. In case you missed it, I also posted a number of other recommended books this past summer HERE. We all know summer in Seattle doesn’t start until July 5th, right? The last thing you want to do is look back and wonder what you did with your summer. It’s not too late. So, as an aside from all of the membership stuff we’ll be walking through for the next two months, I thought I’d make a number of reading suggestions – outside the Bible – to feed, encourage and strengthen your soul this summer. These are a number of books I’ve read recently which you’ll find helpful. There’s something here for everyone. The subtitle of this book says it all, Steps for New and Renewed Followers of Jesus. 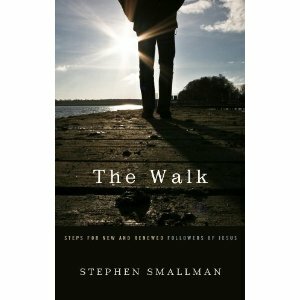 If you’re new to following Jesus or looking at re-newing your walk with him, this is a helpful, simple, practical book for just that. He takes his points directly from the Bible and is incredibly Gospel-centered. I honestly wish I had this book when I first started following Jesus. It would be ideal to process this book with another person or group. Despite the title, this is a great book for singles – especially men. 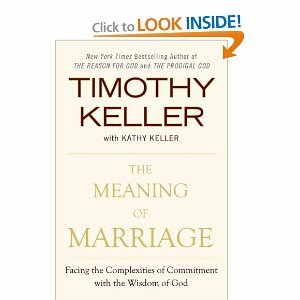 It is probably the best pre-pre-marriage (the extra “pre-” is intentional) book available. The first chapter has the best explanation for the modern movement of cohabitation that I’ve ever read. It is very helpful, insightful and filled with the good news of Jesus. Jen and I are just wrapping up walking through this ourselves. Highly recommend. Admittedly, I have “membership” on the brain, so I had to include something related to our current series. What better time to grow in your own understanding of the church and how we are called by God to be related to it? 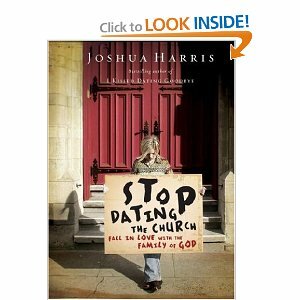 Harris does a great job of making what can be a challenging subject, very practical, helpful and edifying. You’ll get a lot out of it and, likely, get convicted along the way. 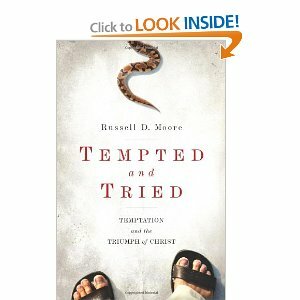 Moore unpacks the nature and reality of temptation by taking a close look at the tempation of Jesus in the wilderness as he began his ministry. Very well done. You wouldn’t want to make this the first book you read on temptation. For that, check out Tap: Defeating Sins that Defeat You, by Yancey Arrington. 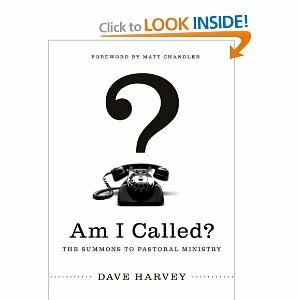 This is a must read book for any of you men that feel the call to pastoral leadership at some point in the future. I’ve already inserted this into our eldership process. He ends on a helpful note in a chapter titled, “While you wait.” This is another book I wish was available 15 years ago. I would have benefited from it and trust you will as well. Here’s something for DCC husbands. I was a little skeptical when I first picked this up, but discovered it to be a very helpful, biblical and practical book. 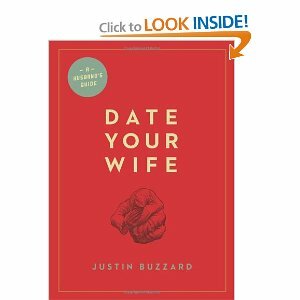 Buzzard compares a religious view of marriage to a gospel view of marriage, while packing the end with a ton of practical advice on cutivating a marriage in which you continually date your wife. If you really want to geek out this summer – and get your mind blown along the way – read this book. It was originally published, I believe, about 20 years ago. They re-released it earlier this year and I couldn’t be more happy they did. Don’t judge a book by its title. This is easily the best book I have read in the last five years, maybe longer. 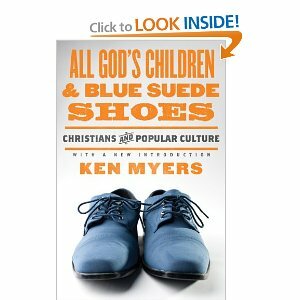 The primary thrust of the book deals with the rise of pop-culture and its influence on contemporary Christianity. Our church is predominantly single, which makes sense given that singles are the primary demographic in our context. Given the lack of godly, Jesus-loving, potential spouses, a common issue among Christian singles is, “Should I just date a non-Christian?” This has become an increasingly common issue within Downtown Cornerstone, so I thought I’d take a brief opportunity to address this practical issue and open it up for discussion. Just so you know, I’m not writing this about a single incident or individual but a general trend. That transitioned into courting, sometimes referred to as “calling”, that was typically done in the context of family and community, overseen by the parents. Then, somewhere in the early 1900’s dating came onto the seen, which removed the entire process from the context of the family and made it about the individual with a new emphasis on entertainment and “just having fun” – away from the idea of marriage as the primary goal. Today, we live in a hook-up culture where marriage is only seen as one of many potential results of dating; definitely not the primary goal and often the last. Clearly, a significant shift has taken place. So, the first thing that must be highlighted is that all Christian dating or courting or “dorting” should have marriage as the primary goal. This doesn’t mean you can’t sit down, have a cup of coffee and a conversation. But, it does mean that both folks involved know the ultimate goal. This is counter-cultural, but it is biblical. Just think of all the emotional, psychological, and physical destruction that would be avoided if this were the rule and not the exception. Additionally, the Bible does assume that followers of Jesus will marry other followers of Jesus. For example, in 2 Cor 6 Paul says do not be “unequally yoked with unbelievers…” Similarly, in 1 Cor 7:39, Paul says, “A woman is bound to her husband as long as he lives. But if her husband dies, she is free to marry anyone she wishes, but he must belong to the Lord.” There are also continual warnings throughout the Old Testament to the Jewish people to not marry non-Jews (cf Numbers 12). The concern at hand is not interracial marriage, which the Bible does not prohibit, but rather inter-faith marriage. Lastly, Ephesians 5 tells us that the purpose of marriage is to point to the relationship of Jesus and the church, which is impossible to fully realize in a “mixed” marriage. So, why would the Bible place these types of prohibitions on marriage? Is the Bible just being narrow? Are these just fundamentalistic interpretations? No. In fact, they are very practical. If you’re a follower of Jesus and your partner is not there are two inevitable results. I’ve seen both of these play out over and over again. On the one hand, if you keep Jesus central to your life, your non-believing partner will need to remain on the periphery of your life – which will inevitably lead to conflict, distance and aggravation. On the other hand, if your non-believing partner is central, then Jesus will need to move to the periphery of your life (this is far more common) – that of course, is spiritually soul-shrinking. So, don’t misunderstand. This doesn’t mean you can’t have a decent marriage or that you’re no longer a Christian should you be in a relationship with an unbeliever. But it does mean you can’t talk about God together, what you’re learning in the Scriptures, conviction of sin, application of the gospel of grace, pray together, have a ministry to your neighbors, raise up your kids in the faith, share the same eternal hope, etc – in other words, share the most important things in life together. God will, by necessity, get pushed out of your life. If you end up in a marriage like that, you’re stuck without a supernatural intervention by Jesus. In saying all that, it is important to keep in mind that you’re not just looking for someone to “pray a prayer” or “sign the dotted line” so that you can start/continue a relationship with them. I have an unbelieving friend who “became” Mormon to marry a girl and another who “became” Catholic to marry another. It is known to happen. You’re not just looking for a checkmark, you’re looking for character and a life that has been gripped by the King. You don’t want to just marry a church boy/girl – you want to marry a godly man/woman. Don’t misunderstand me here. You’re not looking for a saint, but you are looking for someone with a hungry heart for Jesus. If that’s present, Jesus will take care of the rest. Clearly we’re all at various stages of maturity, faith, etc but what’s common in every stage is a hungry, humble heart for Jesus. Don’t look for perfection, you may have to embrace the gift of singleness for lifetime in that case, but do look for someone who you can foresee becoming your best friend, centered around the person and work of Jesus. And, I have to add this, instead of griping about the lack of such people, focus on becoming one, and we’ll have an ample supply in short order. Amen? Amen. Yes, it requires patience. Yes, it requires prayer. Yes, it probably involves more awkward conversations with your parents, “So, when are you going to find that special someone…” So, yes its hard, but the alternative is much much much harder. 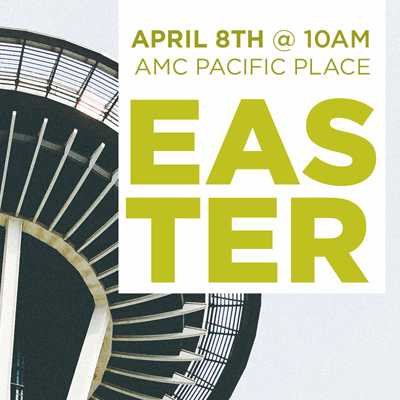 Easter is one Sunday, even in Seattle, where it is culturally permissible for everyone and anyone to join a church for worship. With the exception of Christmas, there is no other Sunday like it. Let’s not miss this opportunity but leverage it for the spread of the gospel, the good of our city and the glory of God. This isn’t about merely drawing a crowd. Let’s not be impressed with crowds, but with Christ. Our Father has put us here to be part of His unfolding, redemptive story in this city – and the cities of the world. Let’s ask Him to do what only He can, starting with us, this season. This may be the only time many of our neighbors, family and friends will hear the gospel. Prayerfully ask Jesus who you should invite, step out in loving faith, and let’s watch Him move this Easter. Together, let’s pray for a packed house for the spread of Jesus’ fame. We recently moved. Three blocks to be exact. And, well, it was a little bitter sweet. Why? Because we saw God do some amazing things in our little 2nd floor 850 sq ft apartment, and 11th floor community room, in the middle of the city. We saw Him grow an eight person launch team into a church. We saw Him answer prayers in extraordinary ways. We saw him multiply one community into six. We saw people come to know and grow in Jesus. We hosted many not-yet-believers and had countless opportunities to share the gospel. We hosted many of you. We saw relationships form, broken and reconciled – sometimes all at once! We saw many take the step of faith in committing to a church plant. We sang. We laughed – a lot. It is probably not a surprise to you that God uses spaces. Don’t miss this. Yes, clearly, God uses people. But, he uses people in spaces: arks, prison cells, tents, deserts, whale bellies, castles, baskets, stables and more. Here’s what I want you to know, believe and live: God wants to use the spaces he has placed you in for his glory, the good of others and your joy. I want to encourage you to not see the every day spaces that you find yourself in (cars, cubicles, offices, homes, complexes, coffee shops, etc.) as neutral to the things of God. He wants to transform how you see and use the normal spaces in your life as miniature stages where his story can continue to unfold in small and big ways. He invites all of us into that. #1 He wants to use your spaces. It can be too easy to think that God only works through certain people, but not me, and certain places, but not mine. How would your outlook change if you viewed your every day spaces as stages within God’s story? We may not say it out loud, but we often live in a way that demonstrates our lack of faith in a God who is present, living, and working. We create a false separation between sacred and secular, when all of life is sacred. God is everywhere and everything is His, including your every day spaces. How could you redeem the use of your spaces for Him? 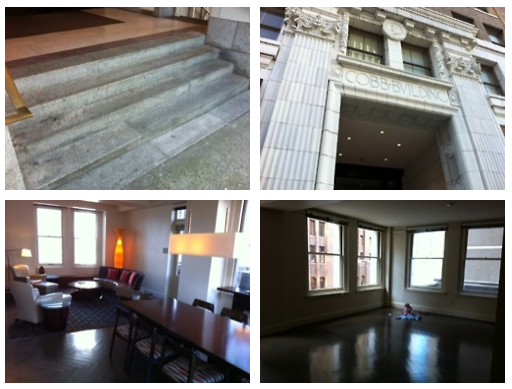 Our previous apartment was just an apartment, but God used it as a stage for so much more. He wants to do the same with yours. #2 Don’t underestimate what God wants to do through you. Maybe this is because we live in Seattle or maybe it’s just the human heart, but too often we underestimate what God wants (or can) do through us. So, we wait or abdicate. We think, “I’ll do more when I’m in a better place.” We never get there, so we never do. Jesus wants you to experience the exhilaration of using your spaces for him, viewing them as stages within his redemptive story. That could mean personal transformation as you commit to trusting him and walking by the power of his grace in your every day spaces. It could also mean regularly inviting folks over for dinner or dessert, taking opportunities to pray for others as the Spirit prompts you, recognizing and meeting the needs of those around you and more. Start simple, but pray big. Don’t underestimate what God wants to do through you. #3 Fight cynicism with anticipation. We often celebrate cynicism, particularly in our city. But, cynicism is just unbelief that masquerades as intellectualism. It looks and sounds smart, quick and witty – but it is filled with unbelief in a God who has worked a massive redemption and delivered some massive promises to His people. The gospel of Jesus Christ transforms cynicism to optimism. Optimism creates a sense of anticipation. God’s specialty is taking normal, ordinary people and doing abnormal, extraordinary things. Our lives should reflect an anticipation that God is who he says he is. Fight cynicism with gospel-birthed anticipation. By now, some of you may be asking, “But how?” Good question. First, get to know your God really, really well through daily means of grace (Bible, prayer, community, etc). The better you know Him, the more you’ll trust Him. Second, repent of unbelief and cynicism as the Spirit leads. Ask Him to fill you with a fresh sense of hope, joy and anticipation in him. Third, consider dedicating your spaces to God. Not in a weird, I’m-going-to-anoint-my-elevator-at-work sense. But, just a simple prayer over your home, cubicle or car, telling Jesus you want to use them as mini-stages within His larger story. Ask Jesus to give you eyes and ears to see the many ways He is already at work in you and others around you – ask to join Him in that work. Lastly, think through what Jesus wants to do in and through you in your daily spaces. Wouldn’t it be cool to say, “That apartment is where Jesus transformed my anger” or “I shared the gospel with 10 co-workers in that cubicle” or “I learned what prayer is in that car” or “Jesus healed my marriage in that coffee shop” or “We hosted 20 non-Christians this year for dessert at our dining room table”? Your car is not just a car. Your apartment is not just an apartment. Your cubicle is not just a cubicle. They can be stages within God’s story; God uses spaces. On December 11th, 2011, we had the privilege and honor of holding our first indoor baptisms as a newly forming church in the heart of downtown Seattle. It was an exciting morning as we saw friends and neighbors proclaim commitment to Christ and be baptized, symbolizing their new life in Him. God has not called us to plant this church in order to merely build a great church – but to build a great city, from the avenues to the alley ways. That happens as individual lives are changed by Jesus and sent into the city armed with His message and mercy. Baptism marks that change, and for that we rejoice!